I’ll never forget the first time I saw the Himalayas. 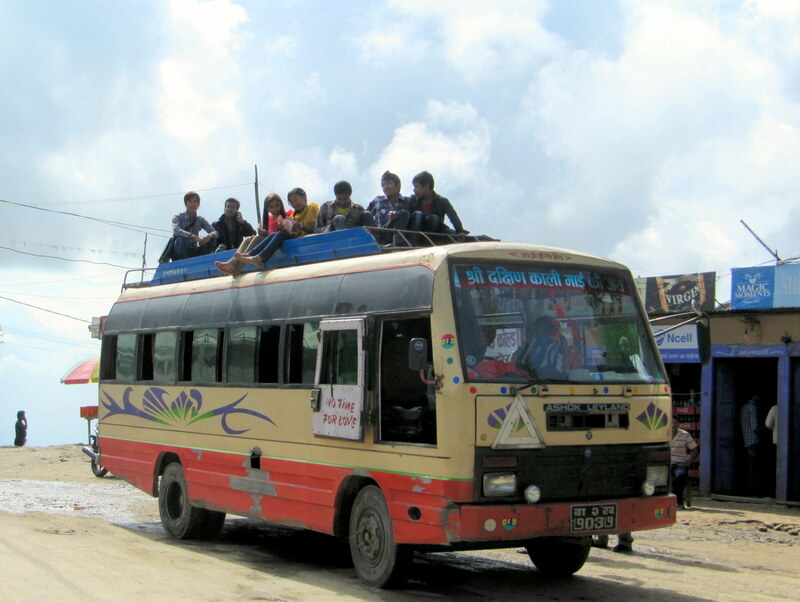 I was in the middle of an excruciatingly long and bumpy bus ride, one of many I would take in the course of my six week journey around Nepal. I was gazing out the window (I always fought hard to get a window seat) while contemplating how they built these narrow, winding roads through the mountains — when I suddenly caught sight of glistening white peaks on the distant horizon. It was just a quick glimpse, but it stopped me in my tracks. They were so far away, yet the shape of those snow-covered jagged peaks was unmistakable. A few weeks later, I would hike for days to reach them in person. I visited 15 countries in the course of 10 months of traveling, but Nepal will always be close to my heart. I feel a deep connection to the amazing, kind people I met there because of the unique experiences I was lucky to have. I stayed at a 10-day yoga retreat in Pokhara and tried paragliding for the first time. I hiked for six days in the Langtang valley, one of the best experiences of my whole trip. I volunteered at a primary school and at an orphanage for troubled boys from a conflict-torn region — my first time teaching. And I got really darn good at negotiating with Kathmandu taxi drivers. I was really rocked and saddened when news of the the earthquake broke a few weeks ago. 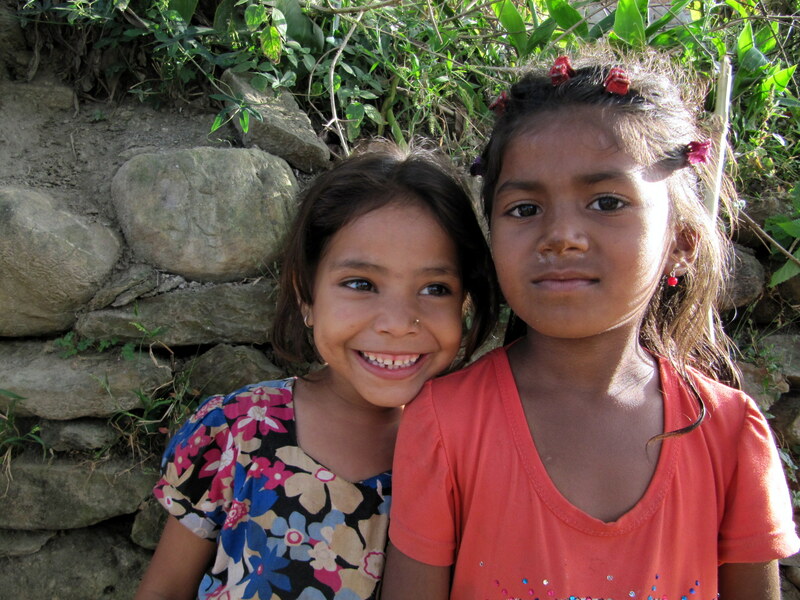 I keep thinking about the generous people I met in Nepal who treated me like family. I’ve emailed with the director of the volunteer program,Nepal Volunteers Council, who is also the principal at the school, and he confirmed that while there is a lot of damage, the kids are doing alright. Many others aren’t. I’m sure you’ve read plenty about it and I don’t have much to add. Just that a few dollars can go a long way. There are many great organizations to donate to. Here are a few: Unicef, All Hands, Team Rubicon, Care. As a personal tribute, I would like to share some of my favorite photos and memories of Nepal. These photos were all taken in September-October 2013. 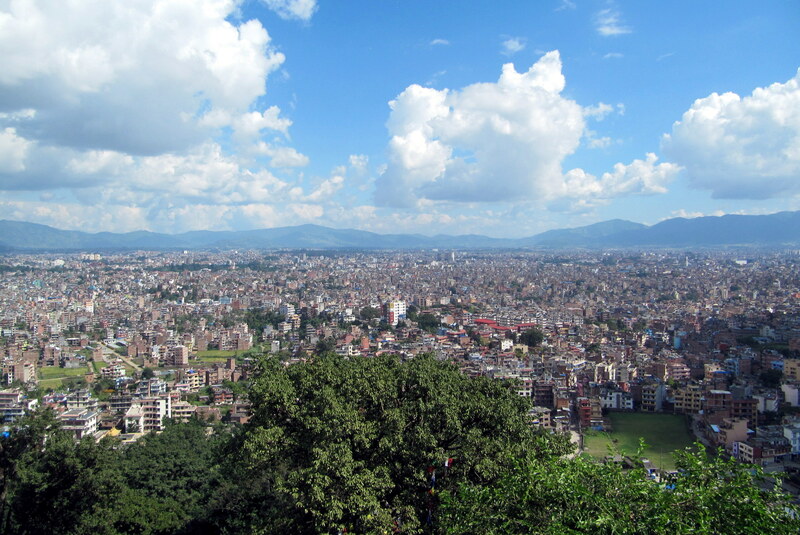 The vibrant, bustling capital and population center of Nepal. Home to 1 million of Nepal’s 27.8 million people. A place where people I just met treated me with humbling kindness. One example: I arrived by bus ended up at a different station than I was supposed to meet the volunteer coordinator at. I had no cell phone. An older couple at a little convenience store let me use their phone, let me sit inside behind the counter and offered me a cold drink while I waited for my ride. They asked for nothing in return but smiles. 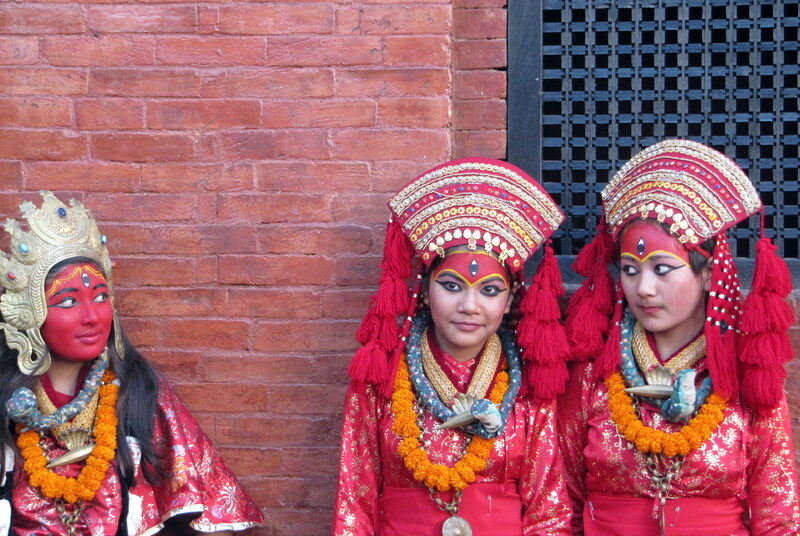 Young girls done up in traditional dress for a show during a festival/holiday. A small protest gathers a crowd in Kathmandu’s Durbar Square. 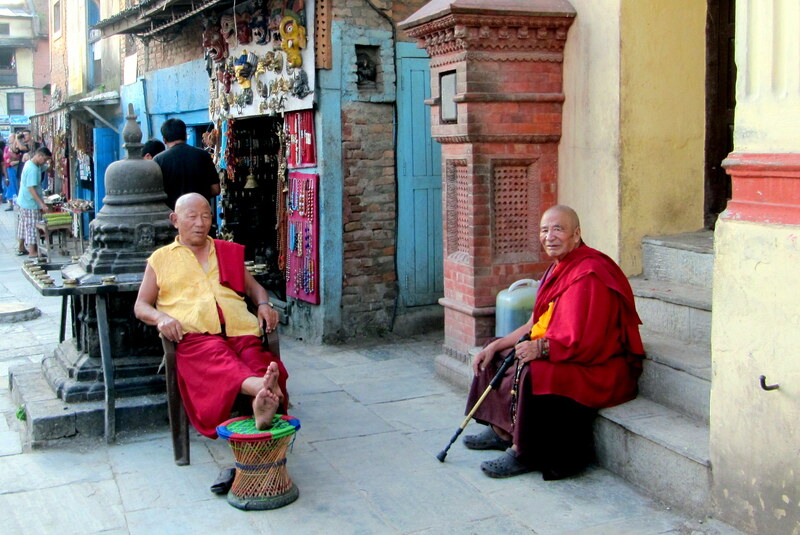 Monks taking a break near the famous monkey temple. Boys trying to catch a glimpse of the show behind the curtain. A man with unbelievably good balance selling snacks outside a movie theater. 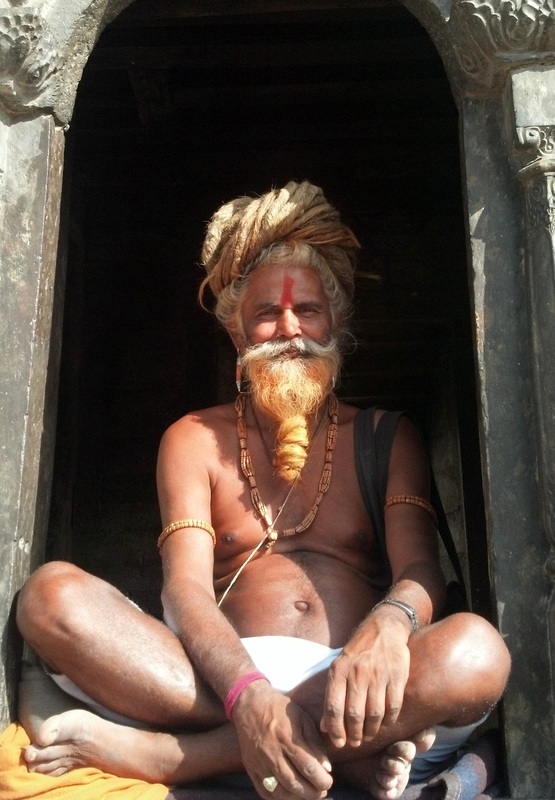 These tourist “sadhus” pose with visitors for money at the Pashupatinath temple. They’re very friendly. 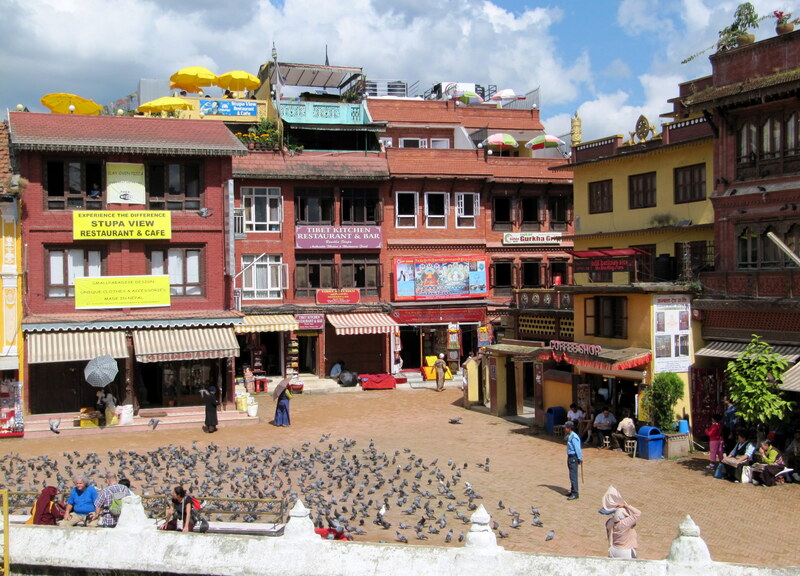 The colorful streets and cafes of Kathmandu. Some boys in my Grade 4 class. The boys were much more rambunctious and outgoing than the girls at this age. View from the top of the monkey temple. The suburbs stretch for miles and miles in every direction. 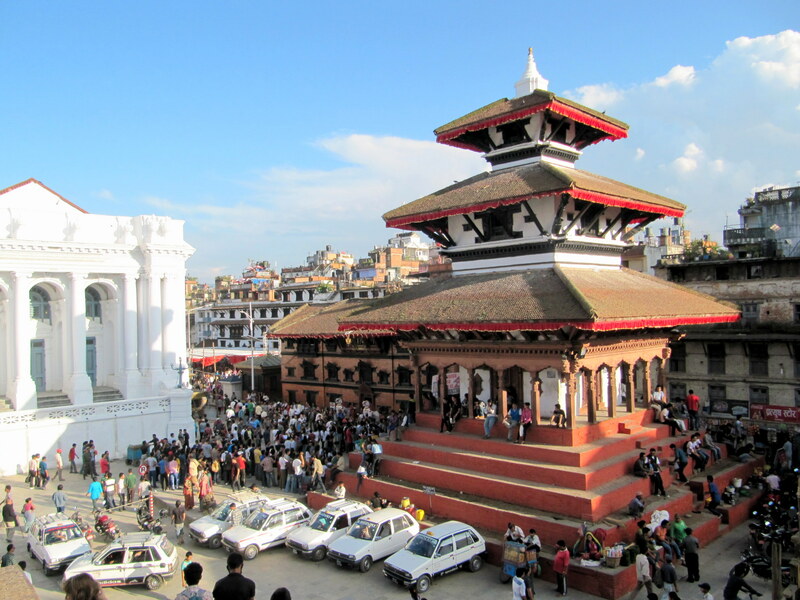 Bhaktapur is a city just outside of Kathmandu and a cultural center with a lot of history. The dusty, cobblestone streets will transport you back in time about 50 years. I’ve seen photos beautiful centuries-old buildings turned to rubble and videos of ancient monuments tumbling to the ground during the quake. I’ve also seen photos of young people joining together to clean up and try to slowly get back to where they once were. They know that it’s going to be a long, uphill climb, and the splendor of these great cities might not be the same again. But the history will always be there. 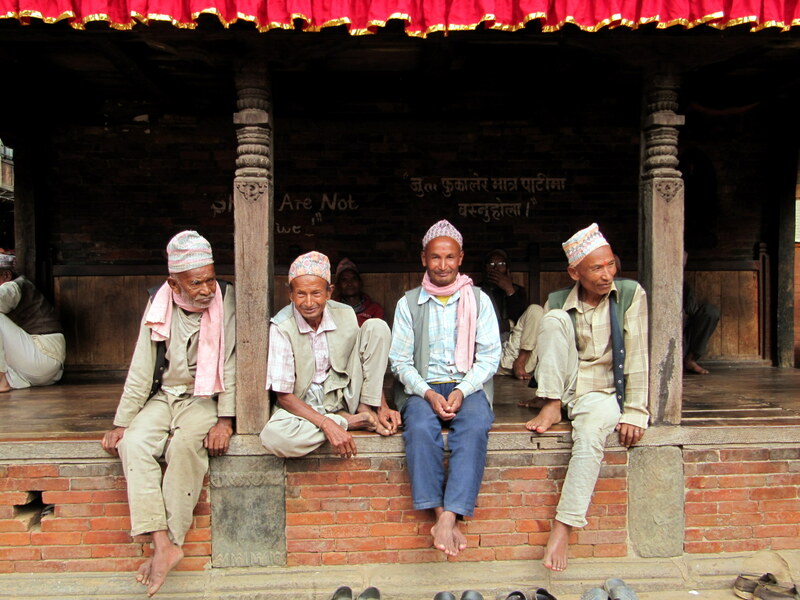 The Dhaka topi is a traditional hat worn by older men in Nepal. A young man in his 20s told be that they are old fashioned and no one his age wears them. It looks like these guys might be the last generation of the Dhaka topi. 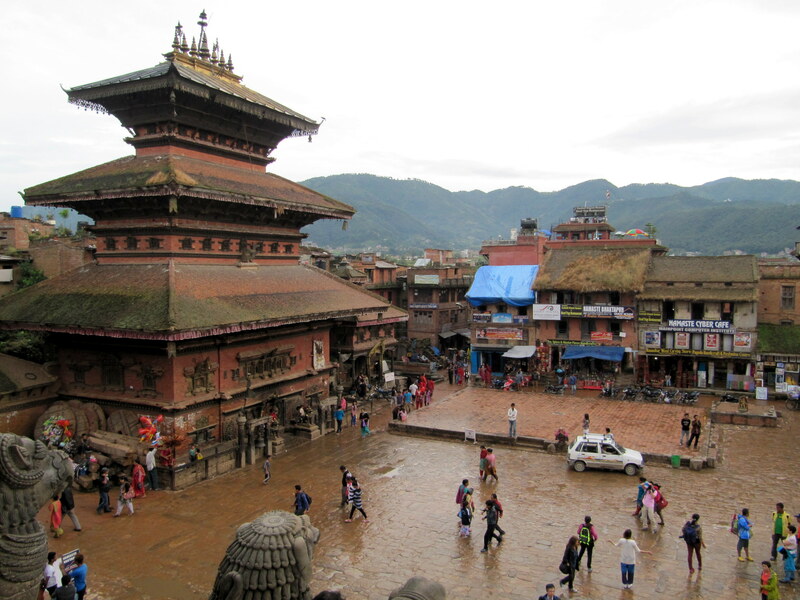 Bhaktapur’s historic Durbar Square — like the one in Kathmandu but with even more cultural sites. Note the internet cafe… they are everywhere. The best way to ride. This bus doesn’t even look crowded, I think those kids just like it on the roof. 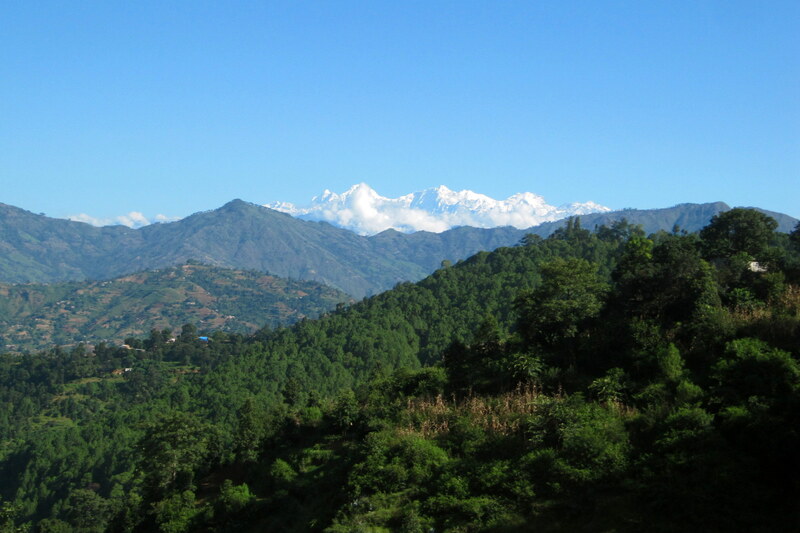 Views from Sarangkot, a peak near Bhaktapur. People often ask what my favorite country is, which is a hard question to answer because I love so many. But I always answer confidently that one of my favorite experiences I’ve ever had while traveling was this 8 day journey through the foothills and up into the Himalayas. 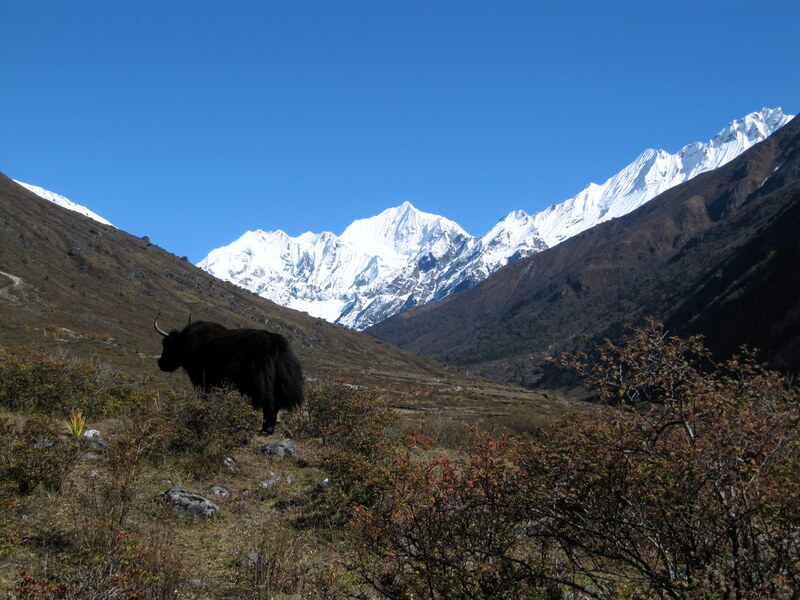 We did the Langtang Valley trek, which is less popular than the Annapurna region near Pokhara. We were hoping for something away from the crowds and we found it. It was truly magnificent and unforgettable. In total it was 6 days of hiking, 4 days up and 2 days down, plus 2 days of bus rides to get to/from the village where we started the journey. I loved every minute of it. A little town in the foothills of the Himalayas where we started our trek. A girl waits for the bus on the side of a mountain road. A little toddler being watched over by his pet goat. No adults in sight. Children are so much more independent here. The cutest little town along our trek. 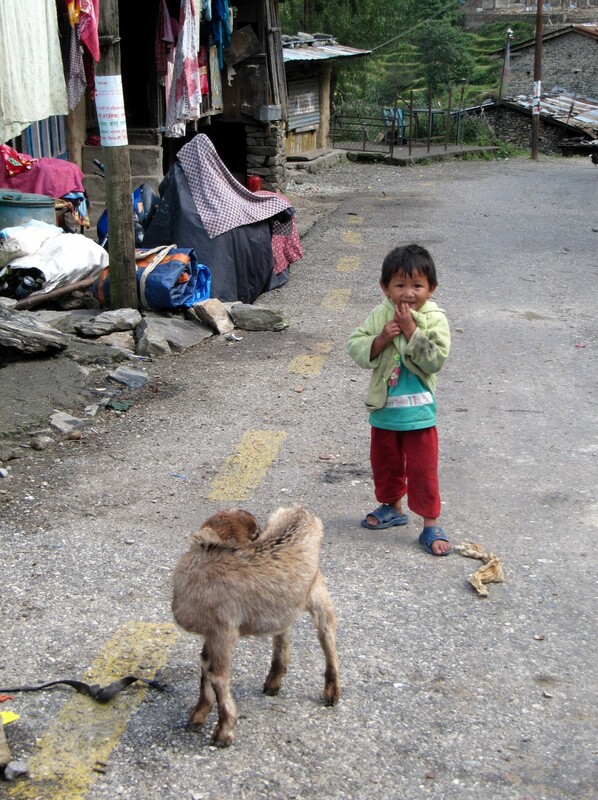 Let’s stop for a lunch of sherpa stew and yak cheese, shall we? 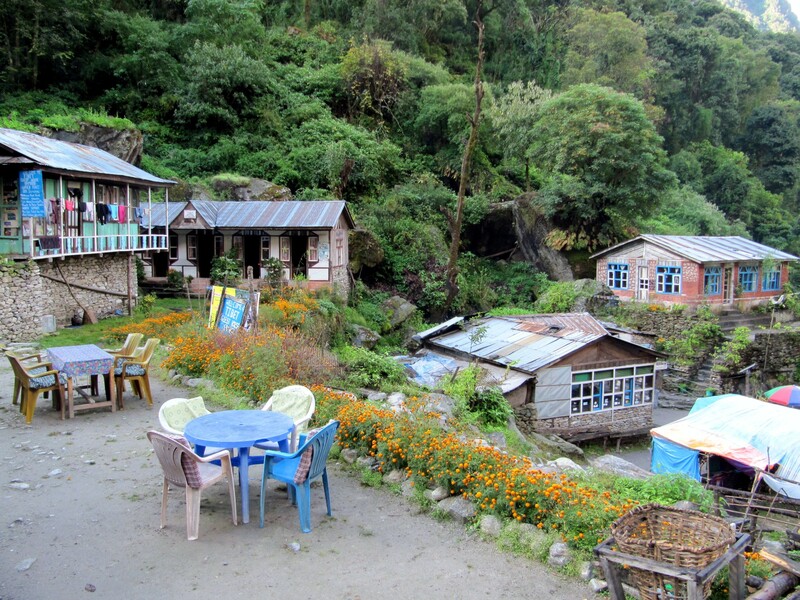 BEFORE: There are little tiny villages of along the trail where you can stop for the night and get a hot meal. Arriving here in the late afternoon, it was super cloudy. We didn’t know how close we were to the mountains. AFTER: We awoke the next morning to this amazing view out our window! Things I know about Yaks: They are grumpy. They do not like loud noises or when you sneak up behind them. Beautiful and heartwarming tribute to a country you obviously love so much! Thanks so much! I do, and I’m so glad you enjoyed it.